the Jersey and Guernsey Law Review (a law journal publishing articles on the law of Channel Islands). and the Law Reform Commission of Ireland. 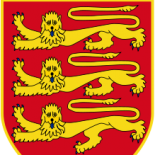 The Jersey Law Commission is a member of the Commonwealth Association of Law Reform Agencies (CALRAS). All legislation in Jersey, and much case law, is available on the Jersey Legal Information Board’s website, part of the international Free Access to Law Movement (FALM).